Let's say I have a (comparatively) lovely-looking document in LaTeX, full of lovingly typeset, (relatively) complex equations. Now, let's say some Philistines come along one day and decide that the document has to be put into Microsoft Word (2007). Now I'm looking at the equations with fear and dread. One option of course is to just lift screenshots from the original document, but this is painstaking if I need to refer to parts of the equation in the text. Also, I might need to edit equations on the fly. Anyone know of a free application which allows embedding LaTeX math into MS Word? I've looked at Aurora and TexPoint which do roughly what I want... they build LaTeX images from source and embed them into the Word document, allowing to edit the source later... but both are commerical. ...any help in these troubling times will be greatly appreciated. EDIT: Just a note that Aurora offers a 30-day free trial and is working out really nicely... but still, it's not free. Might be a good solution for those with short-term needs, or money. OOoLatex is a set of macros designed to bring the power of LaTeX into OpenOffice. It contains two main modules: the first one, Equation, allows to insert LaTeX equations into Writer and Impress documents as png or emf images while the second one, Expand, can be used for simpler equations to expand LaTeX code into appropriated symbol characters and insert them as regular text. This should work as a cross-platform alternative. Back to MS Word, a number of work-arounds exist using MS Powerpoint. Copy-and-paste the resulting equation (from Powerpoint) across the Office Suite. TeX4PPT is designed following the philosophy of TeXPoint, to enable PowerPoint to typeset sentences and equations using the power of TeX. It differs from TeXPoint in that it uses a native DVI to PowerPoint converter, providing extremely fast conversion. Additionally, the result is set using native truetype fonts under windows, providing the highest fidelity. TeX4PPT seems to be a little lagging in up-to-date support, since "a compatible version for PP2007 will be forthcoming" (from the website). IguanaTex is a PowerPoint plug-in which allows you to insert LaTeX equations into your PowerPoint presentation. It is distributed completely for free. Free simplified version of TeXPoint. Partly compatible with the original TeXPoint. 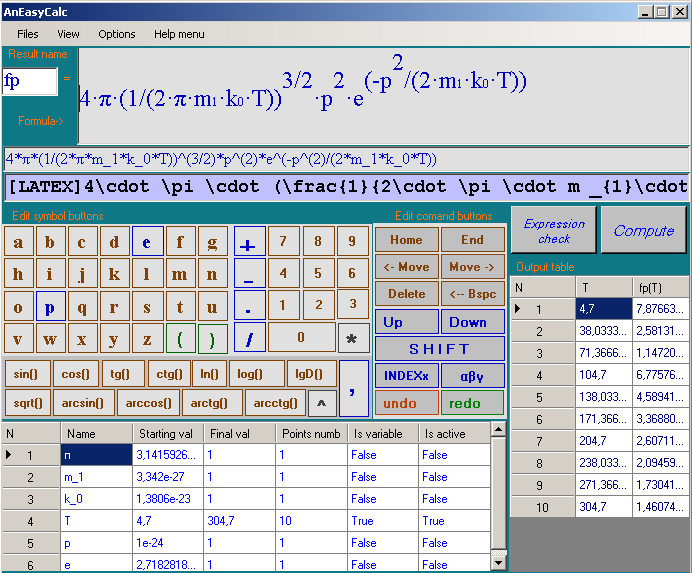 It has integrated screenshot tool to copy equations and pictures right from the screen. Supports Microsoft Powerpoint (tested with version 2007 and 2005). Compatible with Microsoft Office 2010. The last version of TeXPoint (v1.5.4) apparently works for all versions, but it is much older the current, non-free version (v3.3.1), so it probably doesn't provide the latest functionality. For a complete list of formula editors across many platforms and compatibility criteria (including compatibility with TeX), consider viewing the Wikipedia entry on formula editors. 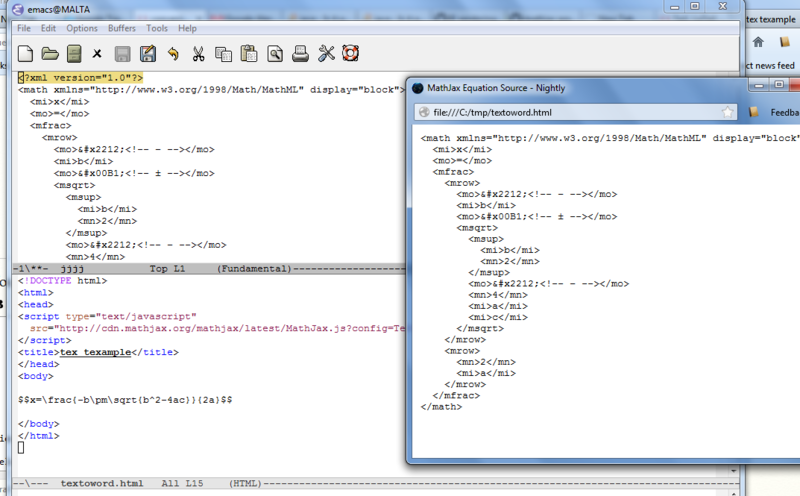 You should be able to cut and paste mathematics from your web browser to Word (or any of the Micorsoft Office suite). Unfortunately at present you have to make a small edit but any text editor will do for that. Select the MathML text from the popup window. Then cut out the edited text and paste it into Word (any version since 2007). Note the result is a fully editable Word Math Zone, using scalable fonts, not an image. I used MathJax in a web browser for the initial TeX to MathML conversion as it is the easiest to set up, there are other alternatives. Also, to make it simple, I described the process in terms of cutting and pasting, which works well for one or two expressions but clearly not if you are converting thousands, however the process can be automated in various ways. For the Mac, there is the wonderful LaTexiT application which allows you to quickly generate latex fragments and export them in a variety of formats, including PDF. You can store fragments in libraries, so keeping equations organized isn't too hard. This isn't quite the same as editing them directly from within the Word document, but it's pretty close. I don't know if there's an equivalent program for Windows. 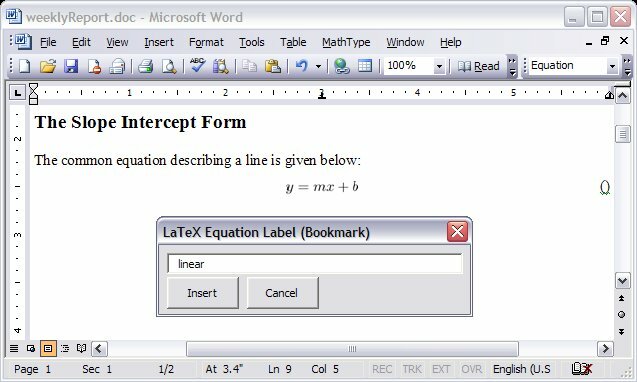 Latex in Word provides macros for Microsoft Word that allow the use of LaTeX input to create equations images in both inline and display modes without having to install any software on the local computer. All of the LaTeX processing happens on a remotes server. All the user needs is Microsoft Word! If you really get ambitious, you can set up your own server for even faster equation editing. It requires a little work, but it's not too hard. Similar macros for other word processors will hopefully be added in the future. Get started today by downloading the example Word document from our SourceForge project page. It's easy! It's available in the project area at SourceForge. I think it's worth a shot. Seems to be a very interesting approach. For me MathJax has been the way to go as per David Carlisle's suggestion. The one addition I would make is that Microsoft Word by default brings across the formatting of the page displaying the MathML code. I don't think the addition of <?xml version="1.0"?> was doing anything for me except making me go via an editor that doesn't have any formatting to copy. Instead I have found it quicker to simply copy and paste the MathML from the "show MathML as/MathML Code" window then tap Ctrl then T (or alternately click the relevant buttons in the small menu that appears at the bottom right of the text you've pasted). This tells Word to only pay attention to the text itself at which point it realises that this is the code for a formula and displays it correctly. This is also quicker than going via a text editor. Sorry for not making this a comment to David Carlisle's answer, apparently I lack the reputation to do so. It's in Portuguese (because I'm Brazilian), but I believe that you won't find any dificulties to use it. Thanks to the author of this answer, I had the idea. I've created LatexToWordEquation based on answers. It is a Word AddIn. If you prefer you can download the installer directly from here. Note: This is an active download link that will immediately download the file when you click on it. Resurrecting this old question, it is now fully supported in Word. So no need for external tools or workarounds. The above suggestion are really good. But there are similar options like latex built in latest version of MS Word right from 2007 version. I don't know about previous of office. Here is a video (https://www.youtube.com/playlist?list=PLbTE-xLDPxtBP-TE2fS1MysSqFCkHh1N3 )which gives details of most of the common features. All details in help and home page. I have made good experiences with latex2rtf - a freeware that converts latex source into an rtf-file with all equations nicely typeset. Opening this rtf-file in word works nicely. Copy the MathML code into Word and watch the magic happen! Adding on Douglas de Moura and David Carlisle's responses, I have found a way to do it on MS Word 2007 without requiring internet. 2) From the MathJax file folder, go to the "test" folder. where the stuff in $$ is the desired Latex code. Note that this is just reverse-engineered from one of MathJax's sample html codes. 4) Open the created html file in browser, i.e. : Chrome. 5) Right click on equation -> "Show Math As" -> "MathML Code". 7) Then on MS Word 2007, open equation editor (ALT and = keys together), then copy and paste the above result. So in the end, it is possible to start out with Latex code and end up with an MS Word 2007-compatible equations, all without relying on an internet connection. EDIT (2018, JAN. 26) As per cengique's answer here, there is also a method for converting the Word 2007 format to the Word 2003's Equation 3.0 format using the free Libreoffice Writer program. Use the LaTeX2Word-Equation Chrome Extension. It allows you to select a raw LaTeX equation, copy it, and paste directly into Word. Isn't this what Pandoc is for? I don't have MS Word on my machine, but I uploaded the document to google docs and it looks usable. If necessary, you can manually make cosmetic adjustments from this point (although I doubt the Philistines would care). If you haven't checked it out, I really recommend it. It allows me to live in the world of markdown and latex, but still be able to produce docx formatted files when necessary. All with a single command! I have been using KlatexFormula on Windows for several years. It can be found at SourceForge. It uses MiKTeX on Windows systems and can export a wide range of formats including PNG, PDF, and SVG which can be inserted in any program. In your case, I would copy the LaTeX code from your source, paste it into KLatexFormula then save the equation to your preferred image format (I would also save a version in the native format for any future editing). How do I export LaTeX generated formulas to other documents besides PDFs such as MS-Word? How can I generate some Latex output (equation) to be imported in MS Word? How to convert Latex code to generate equations in Powerpoint? The easiest way to write TeX in MS Word? How can I convert math-less latex documents into Microsoft Word? Is there an equation editor for Windows? 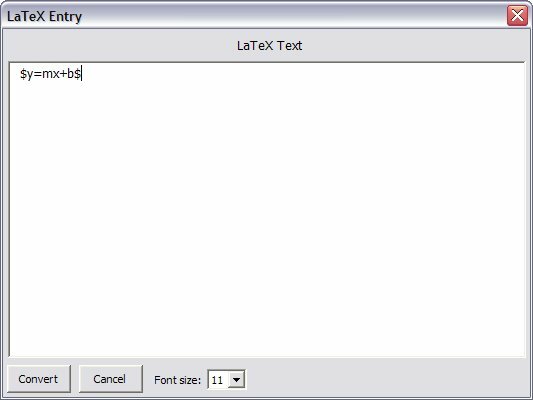 How to use “LaTeX in Word”? 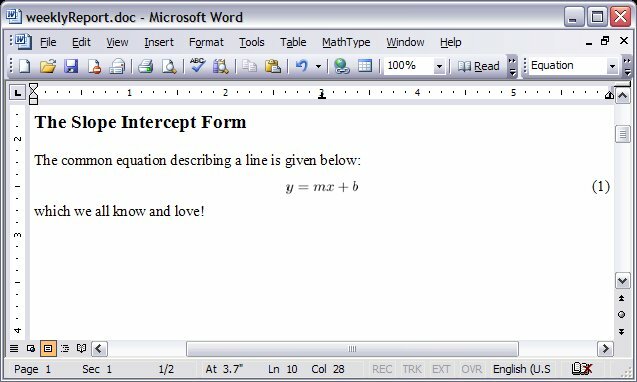 Is there a way to open TexMaths equations (.odt) in MS word?